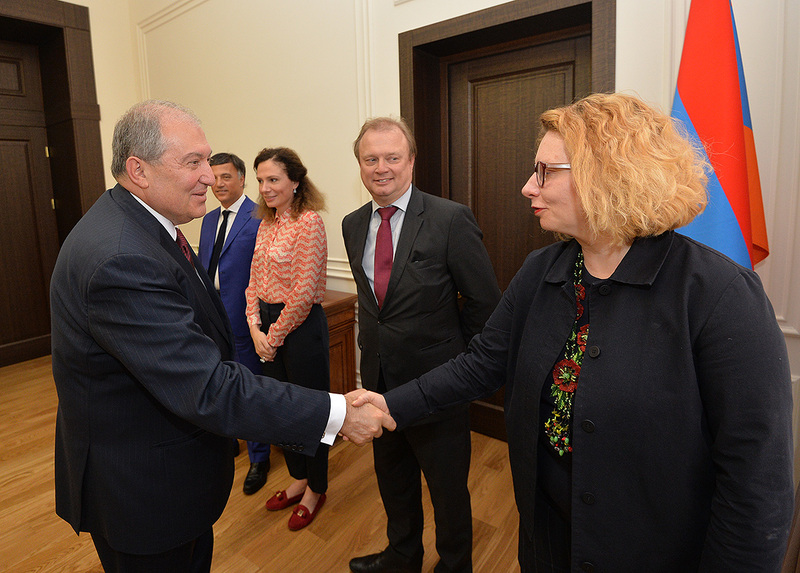 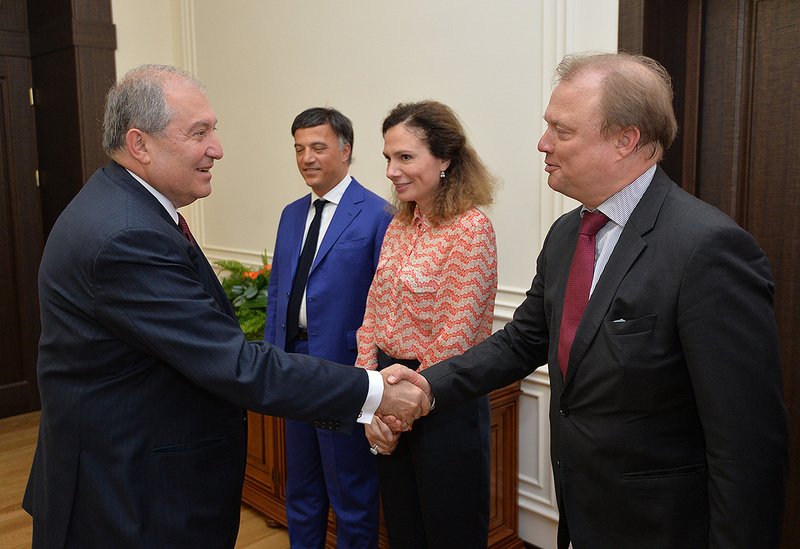 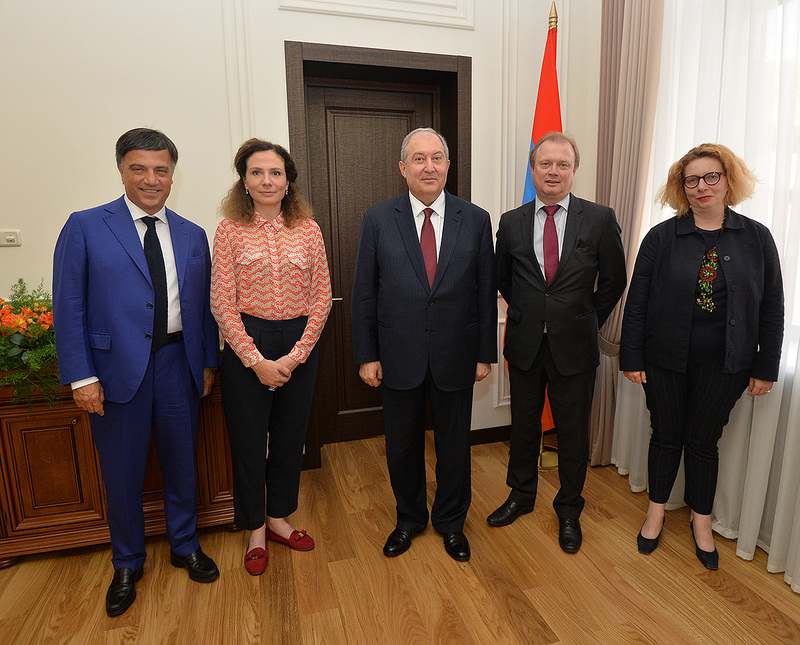 President Armen Sarkissian received today the Co-Rapporteurs of the PACE Monitoring Committee for Armenia Mr. Giuseppe Galati and Ms. Yuliya Lovochkina. 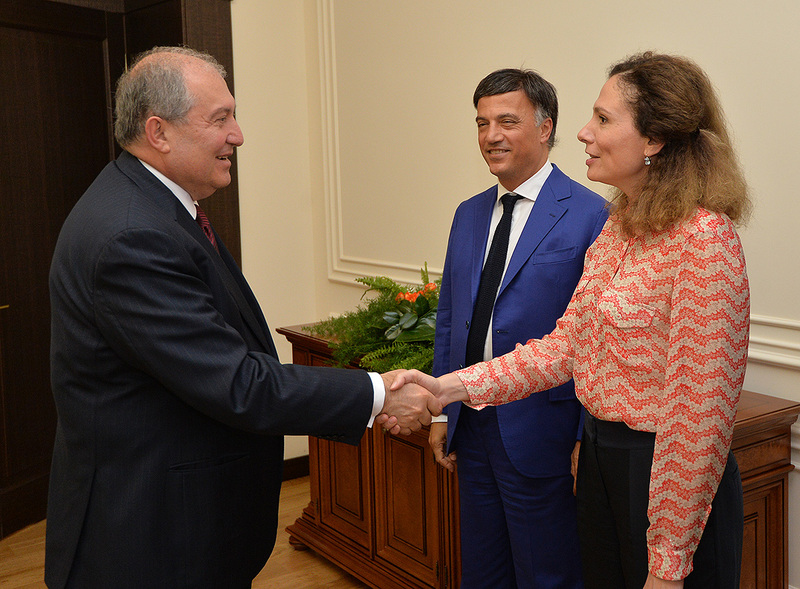 Welcoming the guests, Armen Sarkissian presented the latest developments that took place in Armenia. 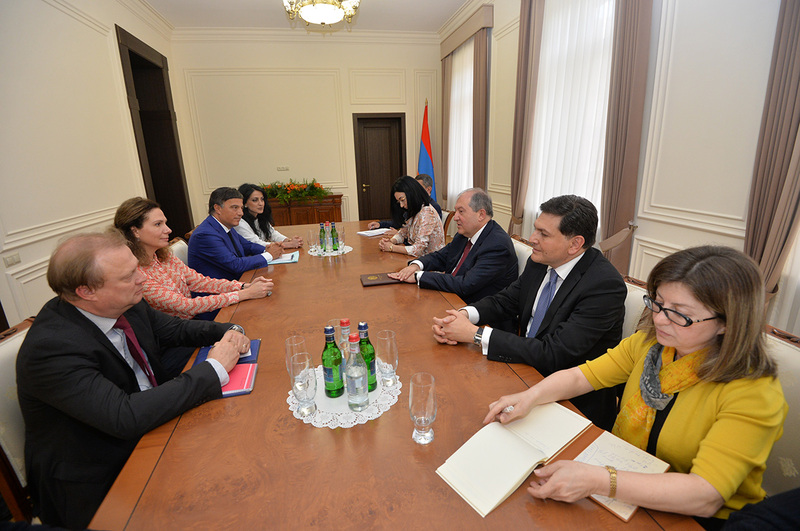 He noted that the Council of Europe is an important partner in the implementation of reforms in Armenia, and our country is interested in a continuous and active cooperation with the CE. 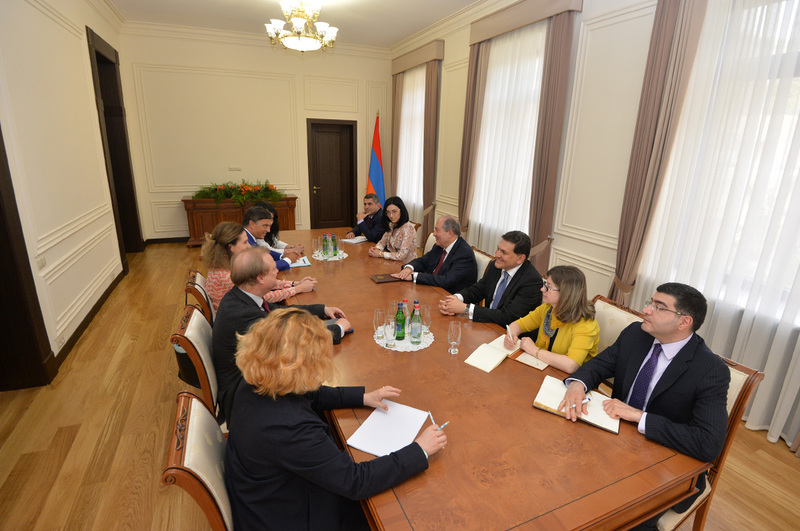 The Co-Rapporteurs spoke with satisfaction about the peaceful nature of the events and their outcome in Armenia and stressed the role and efforts of the President in the process. 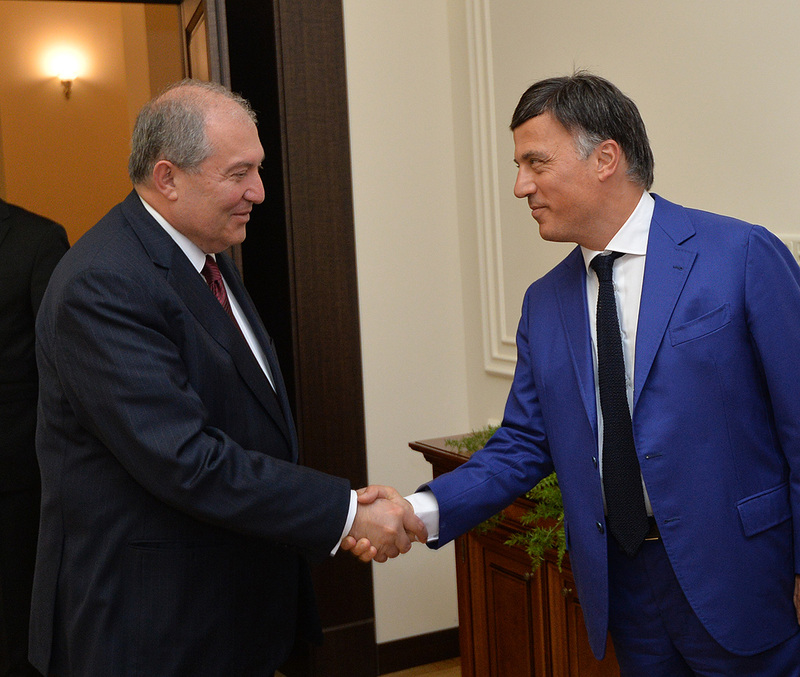 At the meeting, the parties exchanged views on the ensuing processes.